Peyton loves to snuggle under blankets. I think most kids like to snuggle. But for some kids it’s the only way to help soothe them. 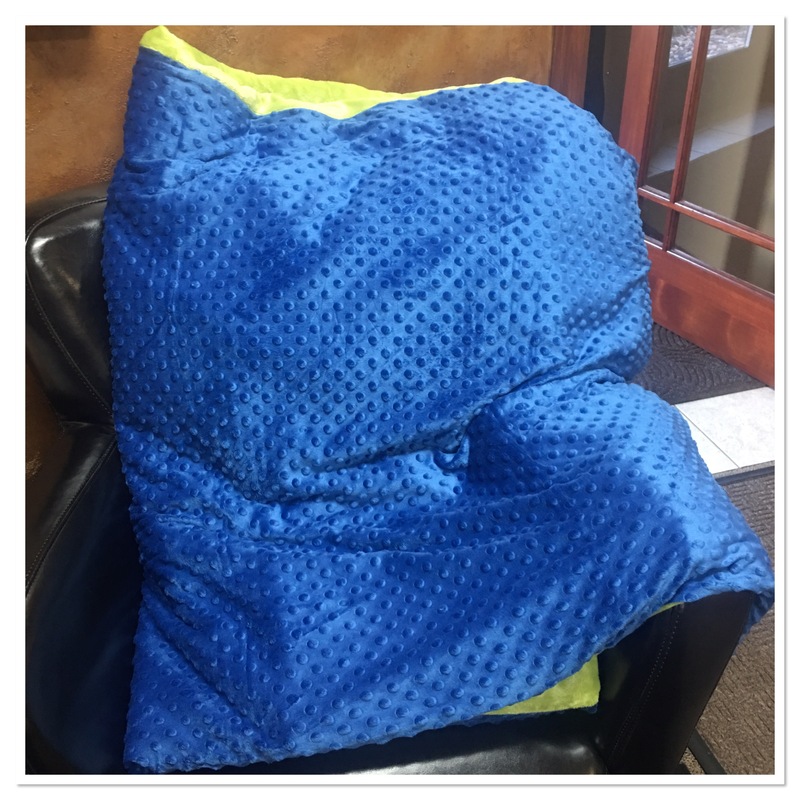 Harkla has made a weighted blanket for children. The purpose of the weight is it helps to soothe children, helping them to relax and calm down. 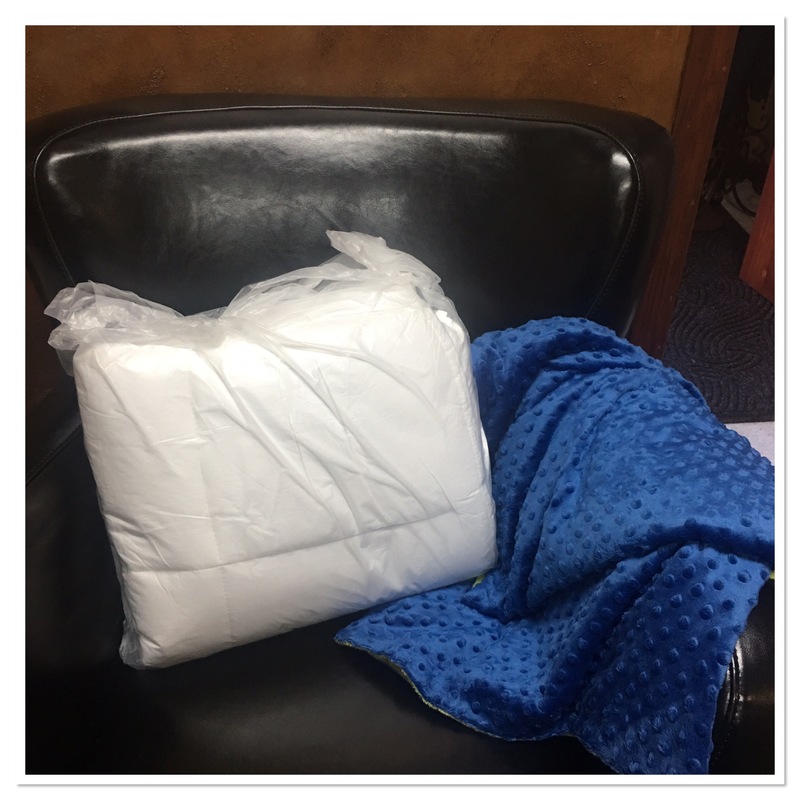 The weighted blanket plays to your child’s sensory system. The Harkla blanket is made with dotted minky material. It’s incredibly soft! Peyton is very touch/feel orientated so for her this blanket is perfect. The nubs and texture are soothing to her. Peyton also finds the weight of the blanket to be comforting. It’s only 5 pounds so it’s not heavy but it does lay nicely and she can feel it on her. As she likes to say – It’s the best snuggle blanket ever! 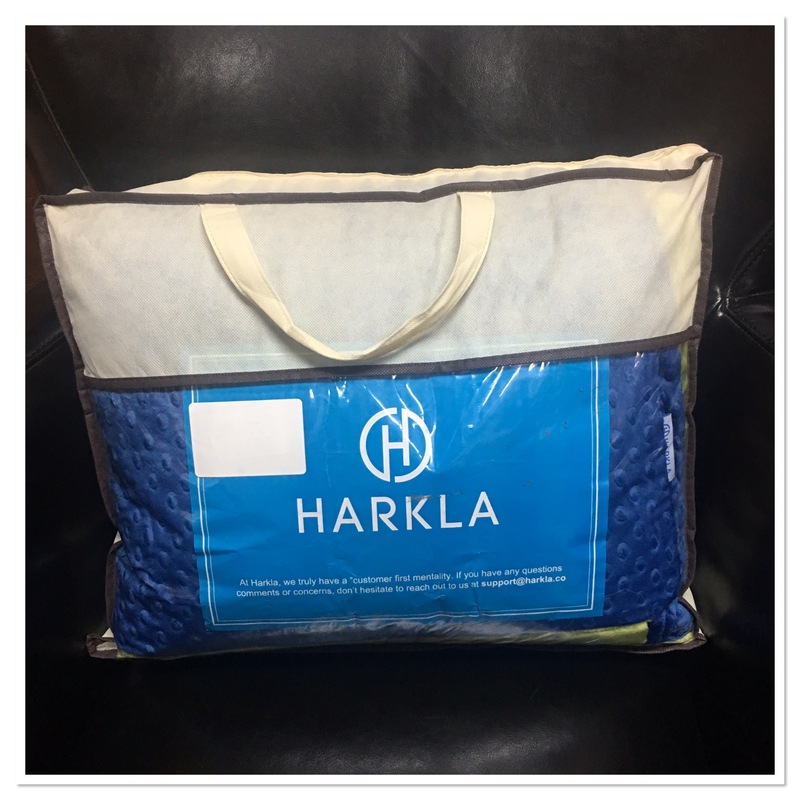 I like the Harkla blanket because of the way it’s made. It comes in 2 pieces – the minky duvet and the blanket. If something is spilled or the blanket gets dragged through the dirt I can simply slip the cover off and wash it. I also like how the blanket is inserted into the duvet and tied at all four corners. There is no bunching of the insides. Putting together the blanket can be tricky if you don’t follow these directions. First, turn the duvet inside out and lay flat. Next, lay the blanket on top of the inside out duvet cover. Tie each corner into place. 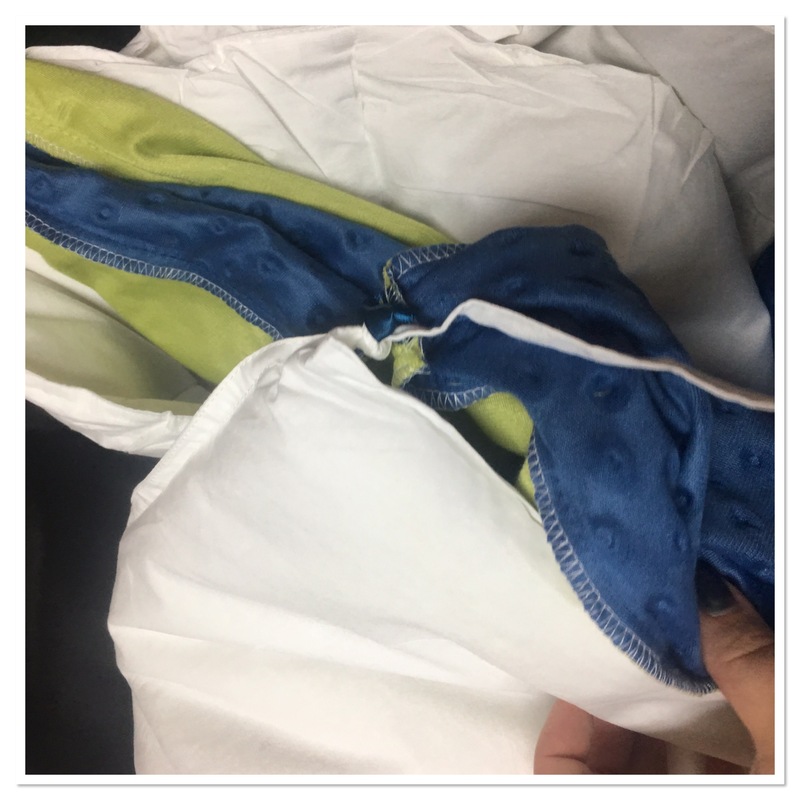 Now flip the duvet cover to be right side out. Your blanket should be inside! Just zip it up and you are ready to go. It took me less than 5 minutes to put the blanket inside the duvet and have it ready for use. I appreciate the high quality of the Harkla blanket. Peyton loves the way it makes her feel.